FEED CSR Patrons – Organization Membership | FEED, Inc.
All of FEED’s LIVING LEGACY programs can be adopted as CSR programs for companies. Frequency of social media recognition, mention and exposure on FEED multimedia channels related to action, progress or policy support to environmental or education initiatives in the Philippines (website, and @FEEDInc_PH on Facebook, Twitter & Instagram). CSR Members are also prioritised when it comes to scheduling of annual tree plantings, customised individual/corporate CSR events, public engagement & volunteer activities and FEED promotional events at the various sites of FEED Partners. FEED works with public and private sector organisations to help design and implement their CSR projects and policies geared towards international best practices. CSR contributions and other donations cover the full purchase, service and maintenance of each tree planted in a company’s name, as well as the livelihood of contract farmers and gardeners assigned to manage FEED partner forestry sites across the country. 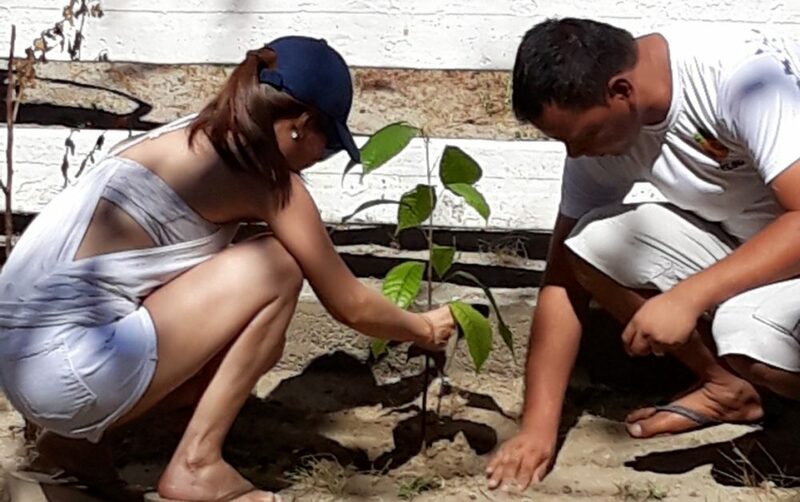 Companies can consider sponsoring a hectare or more of land to be reforested and provide livelihood for a community, including fruit bearing trees, depending on site planting location. 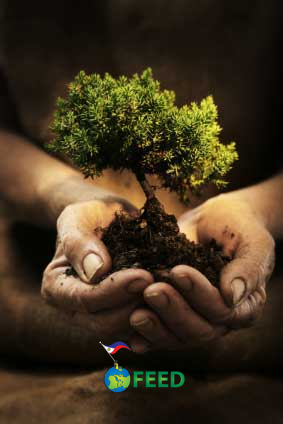 In cases of reforesting large tracts of land or remote uplands, FEED works with the Armed Forces of the Philippines (AFP) for the additional manpower and in some cases security, aligned with the AFP’s remit to help reforest the country and contribute to the National Greening Program. The CSR business case for planting trees is recognised worldwide as a direct climate solution intervention in urban and rural areas. It helps lower carbon emissions, protects vulnerable communities, and even contributes to well-being to reconnect with nature. The strong recognition in the Final Paris Climate Agreement promoting trees and forests of every kind, from urban jungles to endemic forests, is gaining momentum. At the Paris climate conference (COP21) in December 2015, 195 countries adopted the first-ever universal, legally binding global climate deal. The agreement sets out a global action plan to put the world on track to avoid dangerous climate change by limiting global warming to well below 2°C. to provide continued and enhanced international support for adaptation to developing countries (Philippines). By planting, restoring and protecting trees and absorbing CO2 emissions the green way – particularly with endemic and endangered tree species with high carbon sequestration capabilities (e.g. bambusetum sinks), pursuing CSR can also help companies lead the way in sustainable practices and eventual cost reductions; contribute to beautifying green landscapes everyone can enjoy, show ethical support for local communities, provide sustainable livelihoods for marginal populations, including food security for Indigenous Peoples. As such, FEED maintains active links with leading academia to conduct research into the sustainable and feasible restoration of Philippine forests and natural woodlands. We only plant with partners and partner sites that have the capability to also manage and monitor the seedlings to full maturity (aiming for <1% maturity). FEED conducts real-time monitoring (via remote Geographic Information Systems/GIS) and retro-active tagging and counting of all seedlings planted and managed, as well as monitored for at least 85% survival – to enable not only FEED sponsors, members, patrons and other stakeholders, but the public at large to access the latest species planted, locations and numbers anytime from anywhere using any GPS-mobile/application based remote software. FEED currently uses Garmin to tag the Longitude and Latitude of its plantings and publishes these coordinates on web articles in our Media section of this website. So you can monitor your tree from anywhere and at anytime. Email info@feed.org.ph or call/text +63 (0)917 5524722 (Anne-Marie F.M. Bakker, VP Operations). I would like to inquire as to how our department can participate in your tree planting activity. the volunteers in Tree Planting? Good day! I would like to participate in your tree planting activity, can you please tell me the details. Would it be possible to be part of your organization’s tree planting activity on April? Dear Lauren, Yes surely possible to plant with us. How many are you and what date did you have in mind, I will check with our partners. Also, what is the average age of your group. Please email me details anne@feed.org.oh Looking forward! Hi. Do you have a tree-planting activity scheduled by June 2016? Please let me know how our company can join. Thank you so much. Hi, Ms Anne-Marie. I also hope to join your tree planting activity this June 2016. Please send me email as well. Many thanks! Me and my team from Johnson & Johnson would like to do a TREE planting CSR activity and find your organization thru internet. We would like to know if this is possible. Our target date is on May 20, 2016. We are 20 persons in our team. Hoping we could receive a positive response and let me know the details. Thank you. Hi! Me and my friends would like to volunteer in tree planting or any environment-related activities of your organization. Can you e-mail me for updates/schedules? Thank you! Me and my friends would like to volunteer in your tree planting activities. Can I possibly get a copy of the schedules of your upcoming activities? Looking forward to your reply. Thank you and God bless. Me and my team would like to volunteer in your tree planting activities. We are available on Sunday’s and holiday’s. Hope we can join you this April. Hi! May I have a copy of the schedule for tree planting activities? We are 30 in a team, can you accommodate? Me and my GF would like to participate on your tree planting activity. May I please have a copy of the schedule of your upcoming activities? Meandmy friends would like to participate in your tree planting activities. Can we request a copy of the upcoming events for may and june? I would love to volunteer on every tree planting you’ll be organizing. Please include me. I will also bring my sister. Thank you. Good day! I would like to know if there is a tree planting activity this April so that our group could join if there is. My boyfriend and I would like to be a volunteer in your tree planting activity. Can you give us or e-mail us your upcoming activities? Thank you in advance. Hello! 🙂 I would like to have a copy of your Tree Planting Activities this summer. I’m planning to invite my friends to join me in this activity. Hoping for your kind response. Thank you! Hi Good Afternoon. Were planning to participate on your tree planting activity. May I please have a copy of your schedule? Thank you and looking forward to your reply. Hi! I just want to know if our company can join the tree planting program? Good Day! Our company is organizing a tree planting activity this year. How can we join your endeavor? Hello.. I have not receive a reply from you. Our company wishes to join your tree planting program. How do we go about the process? Hi! Can our organization join your tree planting activity? 🙂 I’ve also emailed you earlier regarding this. Hoping for your positive response. Thank you! I am planning to participate on your tree planting activity. May I please have a copy of your schedule? Hi. I would like to also volunteer on your tree planting activity. Please email me the schedules for this year 2016. Thanks. Me and my colleagues would like to volunteer in your tree planting activities.. hope we could be part of your May activities, Thanks! Hi! I would like to have a tree planting activity for me and my friends, would you help me organize? Thanks! Hi! Great work you’re doing here 🙂 my department of about 50+ pax would like to participate in a tree planting activity. Could you advise how we can get involved? Hi, our company is planning to have a tree planting activity this coming June 3 or 4 2016. Can you kindly please assist us regarding this matter. our preferred location would be laguna, tagaytay or batangas as much as possible. kindly send me the details on how to be a volunteer. Thank you! Hi! Good day! Would like to ask if you have tree-planting activities lined up for June until December 2016? I am interested to join, with some friends. Please email me your event details. Thanks in advance. Our Company is currently planning to have Tree Planting activity. Our target dates would be July 22 OR 29, 2016. Target venue would be Tagaytay, Batangas or Laguna. This is our first time to have this activity and would appreciate your guidance and help in planning. Thank you! Hi, our student council team is planning for a tree planting project. Please let us know how we can be part of this. Thank you! Hi, I would like to inquire how to join in your tree planting activity? I am an Environmental Advocate in the Foundation where I am affiliated. Thanks. Hi good afternoon we are in a government organization and we want to plant with you soon please let us know the details on how to join..thank you. Hello, we will be having a research for our environmental science class, we are glad to participate on any of your upcoming activities. please send details and mechanics on your upcoming tree planting activities. thank you! My friends and I would like to join your tree planting activity. Can you send me some information about it especially the scheduled date of tree planting. I hope for your response. Thanks a lot! Hi Ms. Anne, I sent you an email just now. I would appreciate your feedback please. Thanks!